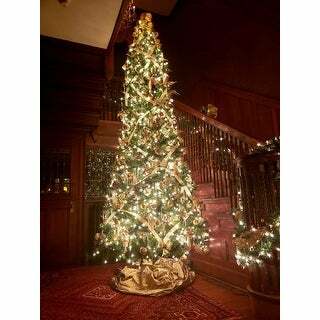 We love our 12ft North Valley Spruce Pencil Slim Tree with clear lights. We did add an additional 1500 more lights to the tree. Very please with the quality of the tree. 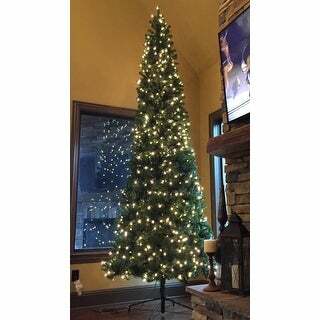 This 12 foot North Valley Spruce Pencil Slim tree features an extra thin profile that may be a better fit for corners or areas with limited floor space for a tree this height. It is pre-strung with 950 clear lights that remain lit even if a bulb burns out. 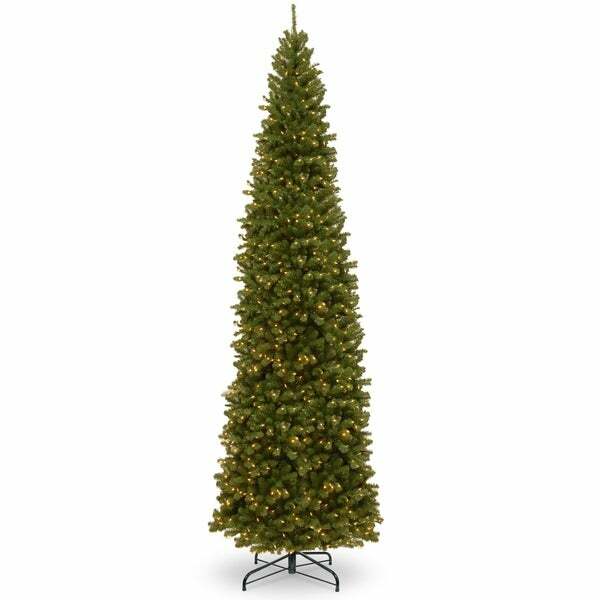 This five section tree features hinged branches for ease of assembly. Sturdy folding metal tree stand is included. Dimensions 54.0 In. X 54.0 In. X 144.0 In. What a great tree! 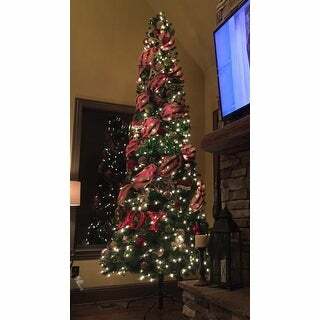 I was nervous to order a tree online without seeing it, but this tree is really FULL and doesn't have any of those super fake looking plastic limbs that I was trying to avoid. I absolutely love this tree. It is gorgeous even without the decorations! 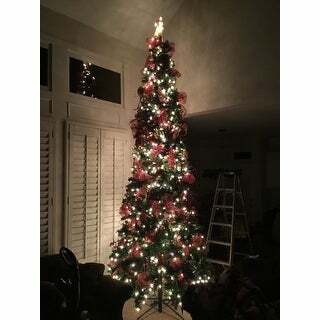 The tree decorates nicely, although connecting the lights is not as easy , as on some trees. Still not a bad tree for the price. "How wide at the base?"